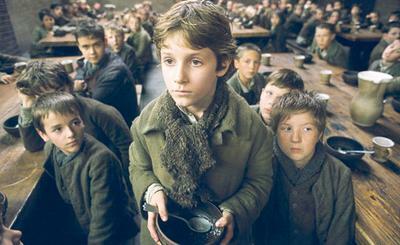 Oliver Twist, directed by Roman Polanski. The Libertine apparently has been pushed back AGAIN for a December release. Sigh. We’re still looking forward to the BBC’s Bleak House dramatized by acclaimed writer Andrew Davies. And we also discovered Gillian Anderson of all people will be amongst the cast. Oh boy! Oh boy!